Over the last few months we have gathered public input regarding the vision for the River Bottoms. The information gathered so far has been compiled into the Vision Document. The Vision Document summarizes the suggestions and ideas gathered during the public input period and provides some preliminary ideas for what could happen in the River Bottoms. The Vision Document IS NOT the actual plan. - Which ideas resonate with you? - What do you like/not like about each idea? - What is missing from the ideas? - How can we achieve each idea? 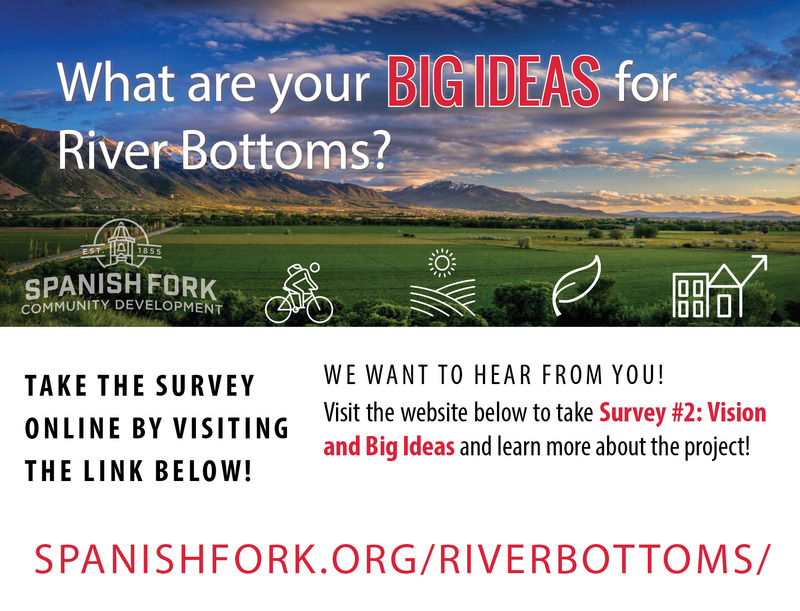 Please provide us your input regarding the Vision Document by taking the following survey (www.spanishfork.org/riverbottoms).